Potato (Aloo in Hindi) is the best energy giving food for humans. Potato is a starchy tuber crop, cultivated all over the world. 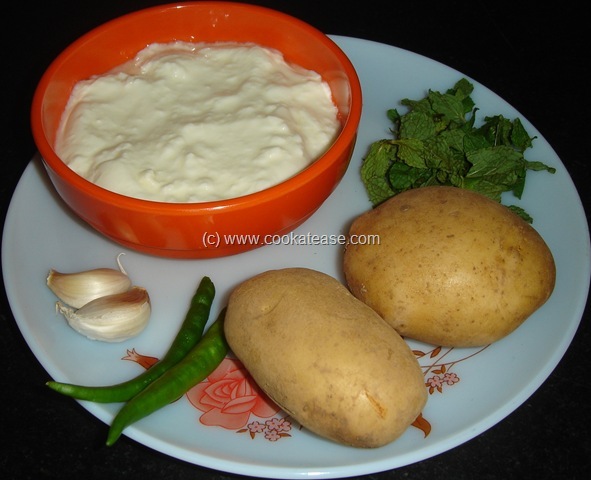 Potato can be cooked in any form like boiled, mashed, shallow fried, deep fried either by peeling the skin or with skin. It can be cooked solo or as a combination with other vegetables. In whatever form it is cooked, it is liked by all especially children. Other than starch, it has some minerals too. 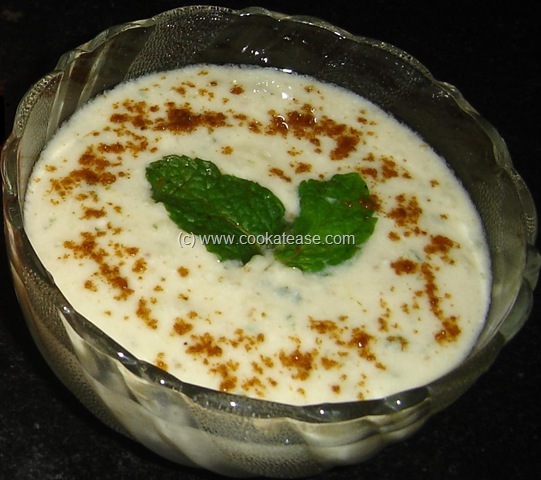 Here I prepared a Raitha (nothing but Pachadi in Tamil) with potato. Cooking time: 10 minutes approximately if you have boiled potato. 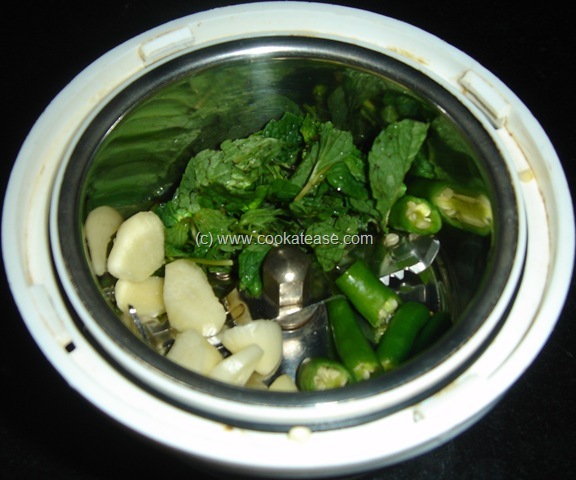 Boil, peel and mash potatoes; coarsely grind mint leaves, garlic and green chilli. Add all the above things in curd with salt and roasted cumin powder. 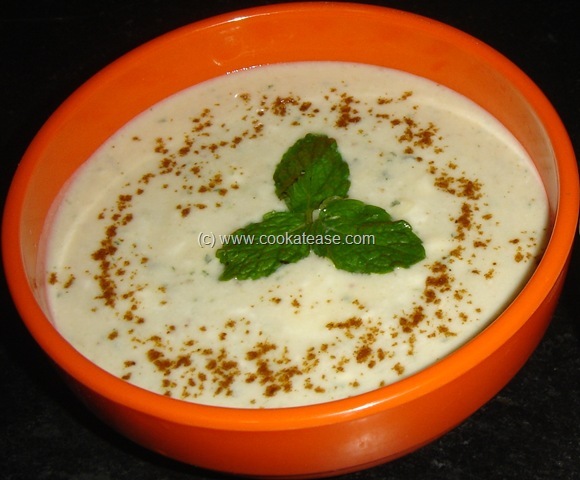 Mix well, serve chilled with Parathas, Naans and Rice. I prepare often this raitha, my fav..Delicious raitha!